LC’s Annual Martin Luther King Jr. Celebration will feature guest speaker Jamaal Crone ’04, at 6 p.m. Monday, Jan. 19 in Snidow Chapel. The program also includes music by LC’s InFaith Priase Team and dance by the student step team, “Steppers in Motion.” The celebration is sponsored by the Black Student Association, the Office of Multicultural Services and the Center for Spiritual Life. 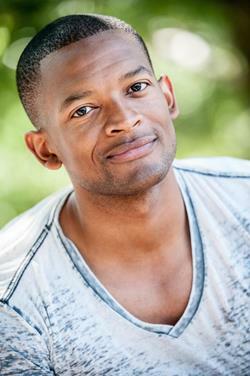 Jamaal graduated from LC in 2004 with degrees in speech communication and religious studies. During his tenure at the College, he worked with the Center for Community Development and Social Justice and travelled to Haiti. A recipient of many awards including the Robert C. Macauley Caring Award and the Outstanding Senior Community Service Award, Jamaal established himself as a “man for others” with a deep commitment to equality and social justice. Jamaal went on to receive a master of arts in religion from Gordon-Conwell Theological Seminary in Massachusetts. He is currently enrolled in a master’s of education program with licensure in mental health counseling from Cambridge College. Jamaal has worked in outreach and service programs to benefit those who struggle with housing insecurity. Currently Jamaal is employed by the Pine Street Inn located in Boston. Founded in 1969, Pine Street Inn serves more than 1,600 homeless individuals daily and nearly 9,000 annually, providing the full spectrum of services to help men and women reach their highest level of independence and get back to a place they can call home. At Pine Street Inn, Jamaal serves as clinical supervisor for Low Threshold Housing. He works closely with formerly chronically homeless tenants to help them secure medical care, mental health services, housing, income maximization and other resources necessary to promote personal stability and well-being. His interest in serving others has extended into mission work in both Haiti and Guatemala. Jamaal is a frequent participant and trainer in programs and activities that focus on mental health, the Hispanic Black Gay Coalition (HBGC) and HIV group facilitation. He has also contributed to TRUTH Magazine and is the co-founder of Boston Anglican Mission – now Church of the Cross Boston.